Stella Glow for Nintendo 3DS is turn based J-RPG and follows a young man named Alto as he fights alongside the witches of Fire, Water, Earth and Wind in order to stop Hilda, the Witch of Destruction before she Crystallizes the world. 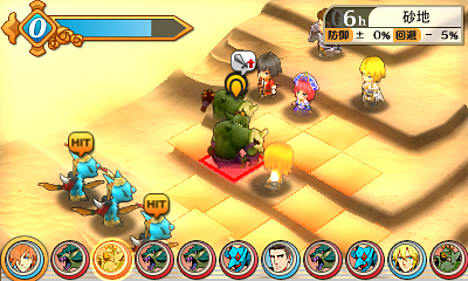 Once found, the player must also help Alto develop friendships with the four witches, the success of which can hugely impact the ending of the game. 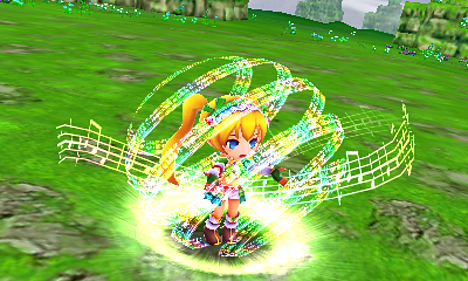 As most reluctant heroes do, Stella Glow-protagonist Alto starts as a country boy in a small town. One day, he hears a song coming from the forest (which is odd, since song has been absent on the planet for thousands of years), where he discovers the lone Hilda. But after the chance encounter, Hilda reveals she's the Witch of Destruction, hellbent on destroying the world with her Harbingers. As Hilda is about to destroy Alto's hometown, he and Lisette are rescued by the Royal Knights and whisked back safely to the kingdom. Alto joins the 9 th Regiment for the sole purpose of gathering the other Witches to stop Hilda. 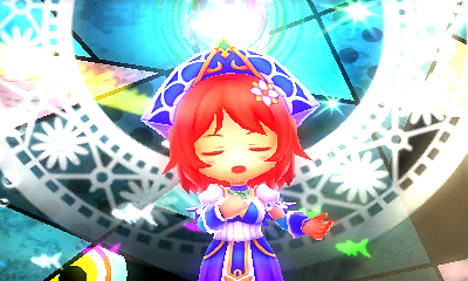 Song Magic – Famous Japanese voice actors sing more than 20 songs in the game. Plus, the soundtrack is composed by Yasunori Mitsuda (Chrono Trigger, Xenogears). The songs are part of Song Magic - a vital combat and story element. 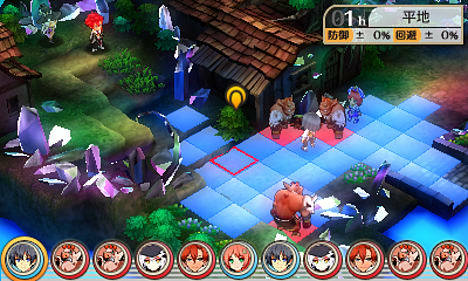 Players can even choose to "tune" the Witches' hearts to increase their abilities. Solid Strategy Gameplay – From the team behind the classic Luminous Arc games comes a brand new IP with the same renowned level of strategic combat. Free Time – Players will get an allotment of Free Time where they can upgrade or buy items, tune Witches' hearts, explore, and grind experience, but that's in limited supply as Combat Time will drive along the game's story. Forming Bonds – Several Free Time options allow players to deepen relationships with their comrades, even form romances, which can unlock new powers and special events - make sure to use your Free Time accordingly! Plenty of Fight – Stella Glow will have 40-60 hours of story and sidequest content, with multiple endings, New Game+ mode, and more than 50 maps to battle on. The world of Stella Glowis rich and vibrant with tons to do!